If you are looking for ways to cut out unnecessary spending, these twenty ways to save money on groceries are going put money back into your pocket. On my journey to live more frugally, I found that these little tips to save money on groceries really added up to big savings over time. Sometimes it truly is the little expenses that can bleed your wallet dry. Wouldn’t you rather use that money on things you actually find useful or necessary? I know I sure would! All these ways to save money on groceries don’t involve coupons. If you combine these ideas with coupons though you will definitely maximize your savings. Also, don’t forget to sign up for loyalty programs or download phone apps from your most shopped at stores. You can get some great coupons and score some great deals. If you want more money saving ideas, don’t forget to follow my Save & Budget Money Board on Pinterest! 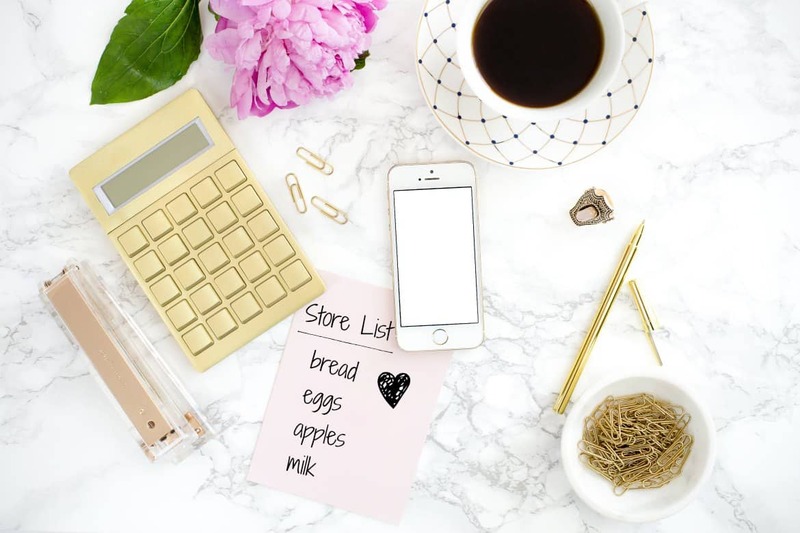 Be sure to check out these awesome ways to save money on groceries below and let me know your favorite ways to save at the grocery store! 1. Don’t buy something just because it’s a great deal, make sure you actually need it. Sometimes it’s so easy to see a sale display and just buy whatever product it is because it’s on sale. I know I’ve talked myself into buying some some pretty useless things before just because the price tag caught my eye. When you see some shiny display or a rock bottom price, ask yourself if you really need this item. Is this a brand or item you normally buy? If not, then you should probably just skip it and wait until something you actually need goes on sale. 2. Take a picture of your receipt to receive cash back at the stores you normally shop at. This one easy little trick saves me so much on groceries! I use the Ibotta app on my phone to load up money saving offers before I go shopping. Instead of dealing with a bunch of coupons, I come home from my store trip and just scan the receipt into my app. You then get cash back deposited into your Ibotta account! Once your account reaches $20, you can opt to get paid through Paypal or redeem your earnings for gift cards! If you don’t want to scan your receipt every time (although it literally takes seconds), you can also link your store’s loyalty card to the app. In this case, still select your offers before you go to the store, then Ibotta does the rest. Right now you can score a $10 FREE welcome bonus from Ibotta here! The key to really saving money and getting cash back with this is being consistent, I try to use it before all my big (or small) grocery trips. I find a lot of money saving deals on products I already use and stores I already shop at. Why not get some cash back for your purchases? 3. Always buy generic when possible. Typically buying generic products is going be a lot cheaper. Many times generic products are the exact same, but cost less because they aren’t brand names. When you are looking to buy generic, be sure to check the label against your favorite brand name item. For example, the pain killers or cold medicine generic products I use have the same exact ingredients as the pricier name brand, so I always buy generic. However, I use One a Day Women’s vitamins and took a peek at a certain generic vitamin and the vitamin percentages were different, so I just stick with my One A Day. Just know not all generics are created equal to the brand. I’ve had great success buying generic for things like sugar, salt, painkillers, coffee filters, certain cleaning products, cereal, bread, etc. With that being said, I tried a store brand generic dishwasher soap that was horrible and left streaks, so just know it may take you a little time to figure out what generic products are better. When testing out generic products, always buy the smaller size. 4. Plan out all your meals for the week. Try to sit down once a week and plan out all your meals. If you plan out every meal, you are less likely to go off plan and spend money going out to eat. My favorite way to find cheap meal ideas is by searching Pinterest. They have thousands of budget friendly recipes that can really help you stretch your dollar (especially if you’re cooking for a lot of people). 5. Try to buy produce in season. You are going to pay premium prices for produce not in season. Stick with seasonal produce, it will taste fresher anyway. This website is great because it will tell you what produce is in season by month and by your state. 6. Avoid premade or precut items. Sure precut fruit or premade meals in the deli section are convenient, but you’re going be paying a premium for convenience. Unless you can find a killer deal, just skip it and prepare your own food. For example I shop at Safeway and on Fridays an already cooked whole rotisserie chicken is only $5, so even though it is precooked the savings are worth it. 7. Meat that is going expire the following day is heavily discounted. You can save tons of green on meat that is about to expire. Either just use it right away or freeze it. If I see meat like this, I will usually by multiple packs to freeze. 8. Buying bottled water can really add up. Buy a reusable water bottle instead and just drink tap water. You can totally ignore this one if you have really low quality or contaminated water, but if your tap water is safe, you might think about just using a reusable water bottle. 9. For products with an expiration date, grab the item that is towards the back of the shelf. Grocery stores will usually put the items that are closer to expiring in the front, and the fresher stuff in the back. Select products towards the back of the shelf and they won’t go bad as fast. 10. Start making soups, as well as crock pot meals. Soup and crock pot meals are very economical and are great for families because you can feed a lot of people for cheap. There are so many yummy soup and crock pot recipes on Pinterest that can save you a ton of money! 11. Make one or two meals a week without meat. Being that meat is a little pricey, you may want to consider going without it for one to two meals a week. A spaghetii dish with mushrooms is going be a lot cheaper than adding ground beef. 12. Keep an ongoing inventory of the products you have on hand. If you don’t know what perishable foods you already have, you might end up buying stuff you don’t need that will end up going bad. Throwing away spoiled food is just money down the drain. 13. When your preferred products or brands go on sale, stock up! If you see a great deal on something your normally buy be sure to buy multiples. This works great for non perishable items or freezable items. 14. Find a credit card with a good cash back or rewards program and always use it to buy groceries. So this sometimes can save you money. If you find a great credit card that gives you cash back and you pay off your balance every month, you can really see some savings over time. If you carry a balance and get charged interest, this method is not going save you at all because even though you’re getting cash back, you are paying interest. 15. Stick to a few stores to get all your savings. If you are going to a bunch of stores because each one has a certain deal, keep in mind that if you are making special trips for one or two items, you most likely are just a wasting a bunch of gas money. Stick to a few stores that have great rewards programs that you consistently find lower prices at. Of course there are always exceptions, if the saving is really significant or you are planning to buy a ton in bulk. But if you are making an out of the way car ride for a few cents, you’re most likely not saving anything. 16. Only stock up on sale or bulk products that you have self control with. For example, if there’s a great deal on bulk size cookies or ice cream, but you think your family will eat it all in a couple days, just buy a smaller portion when you want it. What’s the point of a great deal if it won’t last you a long time? So just know the type of person you are. There are people who can keep cookies in the house and people who can’t. Unfortunately, I can’t lol, so I don’t buy big sale packages of cookies. 17. Always do your math. The bigger value size is not always cheaper. Many times the bigger value size is cheaper and you’re going want to go for that size for maximum savings. Other times, this just isn’t the case and you can really save just by busting out the calculator on your phone. To calculated this, just do price divided by ounces for both items and purchase the product that is less per ounce. 18. Always have a meal on hand you can make in a pinch. If I run out of food, I’m always more inclined to go out to eat or make an unplanned trip the grocery store and overspend. If you always have something super easy you can make you aren’t going waste money. It doesn’t have to be fancy, in fact the simpler the better. Maybe it’s just a can of soup, pasta and sauce or some sort of frozen meal. Just make sure it’s easy and something fairly non perishable that can just sit in your pantry or freezer until you really need it. 19. Always, always have a list. So hey, I know this one is pretty obvious and something you’ve probably heard before but this is probably the most important way you can save money. Like most people if I don’t have a list, by spending is crazy. I come home from the store with a bunch of stuff that I don’t even need. These things sounded like a great idea in the store, but in reality were just dumb, impulsive purchases. Stores can be really distracting with all the displays, people shopping, poor lighting etc., couple that with being tired after work and you have the potential to just grab random items. So make yourself a new rule, if it’s not on your list, don’t buy it. Pretty simple right? 20. Don’t go to the store hungry. Again, pretty basic tip but one that can really cut your grocery expenses for the month. Eat a meal or a snack before you go to the store. Why? Because your stomach does not need to be dictate what you put in the cart. If you are starving, you might grab all kinds of stuff that sounds good just because you’re hungry. Just avoid this all together by grabbing a bite to eat before you head out to the store. If you prefer skinless chicken, still buy the chicken with skin (it’s cheaper). Don’t buy skinless chicken and opt instead to buy chicken with the skin and just remove it at home. Yes, it’s an extra step (and truth be told a little icky), but you will find it worth it when you are saving money. The same can be said for boneless verses boned meat, typically meat on the bone is going to be cheaper. Opt to make your own cleaning products. Cleaning products can really add up and there are so many homemade cleaning product recipes on Pinterest. Making your own products is cheap because you can make homemade cleaners using inexpensive items like vinegar, lemons, and baking soda. Just know that I’m not saying make all your cleaners, but you may find homemade versions that get the job done and cost less money. This option may not be for everyone, I know some of you may not have the time to make your own. One quick note on cleaning products, typically you are going be pay more for them at grocery stores unless they are running a good sale. I usually try to check out Target, Walmart, or other bargain stores for cheaper cleaning supplies. Bring your own bags to the grocery store (if you live in a state that charges for bags). Some states like myn (California) charge to use grocery bags, hoping it will prevent people from using paper and plastic bags and encourage people to use reusable bags. If you live in one of these states, just buy some reusable bags to avoid the bag fee. In my state the charge is ten cents a bag and sure that doesn’t sound like much, but it can add up over time. With most of my reusable bags I throw them in the washer ever so often and line dry. My reusable bags last me a long time and don’t forget to stash a foldable one in your purse or multiples in your car! The point about shopping on a full stomach is very important. People tend to do impulse buying when they go grocery shopping on an empty stomach. The worse part is that they end up buying unhealthy foods. Yeah, it is very important. I agree, anytime I’ve gone to the store hungry I never bought healthy foods impulsively, it was always something bad like ice cream lol.